I purchased my first Holga, a plastic camera film that I tape together, sometime during my junior year of college. Since then, it has been a companion with me on hundreds of adventures. I can throw it in my backpack, take it climbing or canoeing, on my bike, in the airplane…. even fall in the lake with it…. and it still keeps clicking. I recently had the honor of exhibiting some of my Holgas at the Janet Carson Gallery in Eau Claire as part of the 2014 Confluence of Art Biennial. And much to my surprise, one of my photos received an honorable mention in the show. 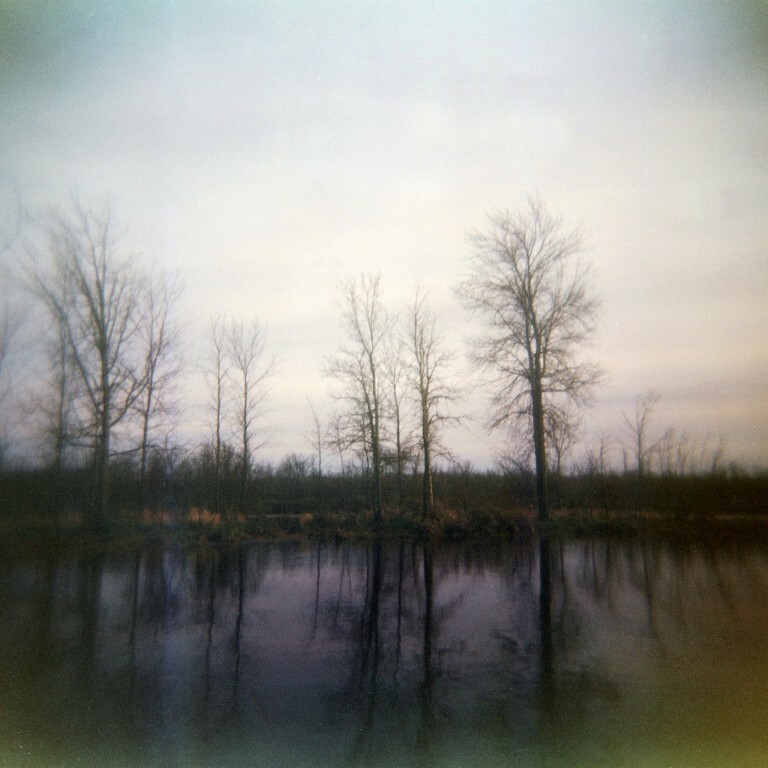 I also recently added a gallery to my website for Holga prints. I have so many of these photos, and it seems silly to store them invisible on CDs and hard drives. As wedding season winds down, I will continue adding to the gallery. This is one of the photos that I exhibited at the Janet Carson Gallery. Taken from the canoe at the McMillan Marsh outside of Marshfield.